After music exports rose in 2015, trade group says politicians must take notice of economic and cultural contribution. The music industry has issued a plea to politicians to protect the UK’s status as one of the world’s biggest exporters of new music during negotiations to leave the EU. 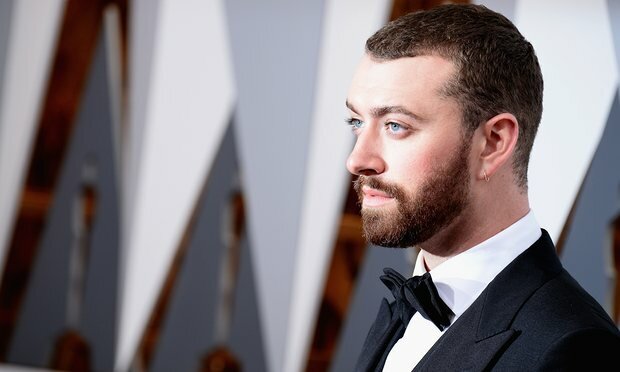 New figures show UK music enjoyed another strong year for exports in 2015, prompting the industry’s main trade group to warn that politicians must recognise both its contribution to the economy and its power to raise Britain’s profile around the world thanks to the popularity of artists such as Adele and Sam Smith. There was a surge in foreign sales of British music and in ticket sales to overseas residents for events in Britain in 2015, according to the umbrella group UK Music, which represents the commercial music industry, including artists, songwriters and record labels. That drove a 3.4% rise in exports to £2.2bn in 2015 and left exports up 11% since 2012, when UK Music began compiling figures. That reflected another year of international chart success for British artists. Five of the top 10 artists in the world last year in terms of sales were from the UK – Adele, Ed Sheeran, One Direction, Coldplay and Sam Smith. UK Music’s chief executive, Jo Dipple, said the industry was outperforming the wider UK economy and was punching above its weight around the world, with artists such as Skepta outselling US acts in North America. But she sounded a note of caution over its post-referendum prospects and said the industry wanted to see policies that would maintain its export power. “The UK needs to solidify its new post-Brexit place in the world and music will undoubtedly be part of the glue that does this. Our export profile is astounding which is partly why music, like sport, gives the world an understanding of our small country,” said Dipple. The export success helped lift the industry’s contribution to the UK economy to £4.1bn last year. That was an improvement of just 0.6% on the year before but was up 17% on 2012. Employment in the music industry rose 1.4% on the year with 119,020 full time jobs in 2015. That was a rise of 11% since 2012, the Measuring Music report said. In a statement to accompany the report, the culture secretary, Karen Bradley, emphasised the UK music industry’s international success. “The extraordinary success of artists like Coldplay and Adele added billions to our economy. We want to maintain and build on that success. The government is working closely with industry bodies, such as UK Music, to make it easier for these artists to do business and is investing in music education to nurture the next wave of successful British artists, who we want to see perform across the whole world,” she said. The annual health check of the industry showed that while overall employment and output were up, there were still some areas struggling as the music industry continued to adapt to fast-changing consumer habits and technology. As CD sales dropped 3.9% in 2015, recorded music suffered a 1% fall in what UK Music terms its “contribution to the economy”, or gross value added (GVA). On 2012, recorded music’s GVA was down 4%. But the trade group said the physical market remained resilient and it highlighted an ongoing resurgence in vinyl records where sales were up 60% in each of the past three years. “All in all, there is every sign that the recorded sector will return to growth in 2016,” said the UK Music chairman, Andy Heath. As trends change from owning music to streaming it with services such as Spotify or YouTube, the UK music industry has called for fair remuneration for artists and rights holders and it renewed that plea in Monday’s report. Paid subscription streaming services such as Apple Music, Spotify and Tidal have provided a significant boost to the digital music economy and their value jumped from £168m in 2014 to £251m in 2015, the report said. But it accused other advertising-funded digital services of devaluing music. “The YouTube model, despite its reach, is yet to deliver fair financial returns for rights owners and creators, artists, composers, songwriters and publishers,” the report said. It also called for more support for grassroots music venues after a drop in concert revenues last year. It meant that while a total audience of 27.7 million attended music events in the UK in 2015, there was a slight dip in live music’s overall contribution to the economy. “Grassroots music venues need investment now,” said Dipple. Allen, Katie. "UK Music Industry in Plea to Protect Its Status during Brexit Negotiations." The Guardian. 2016. Accessed September 14, 2016. https://www.theguardian.com/business/2016/sep/12/uk-music-industry-plea-protect-status-brexit-negotiations.